Let’s face it. The green beauty party is getting bigger, and lots of people, regardless of their background, are getting in on the game. While I respect founders from all walks of life (models, makeup artists, tinkerers, you name it), there’s nothing that piques my interest more than an approachable scientist-founder who takes the time to not only formulate intelligently, but educate tirelessly so we can all be a little bit smarter about how we spend our money and treat our skin. That’s what you’ll find in Marie Veronique Nadeau, the former chemistry teacher-turned-skincare entrepreneur who, along with her physicist and bio-medical engineer daughter Jay Nadeau, create innovative, clean beauty products for Marie Veronique Advanced. 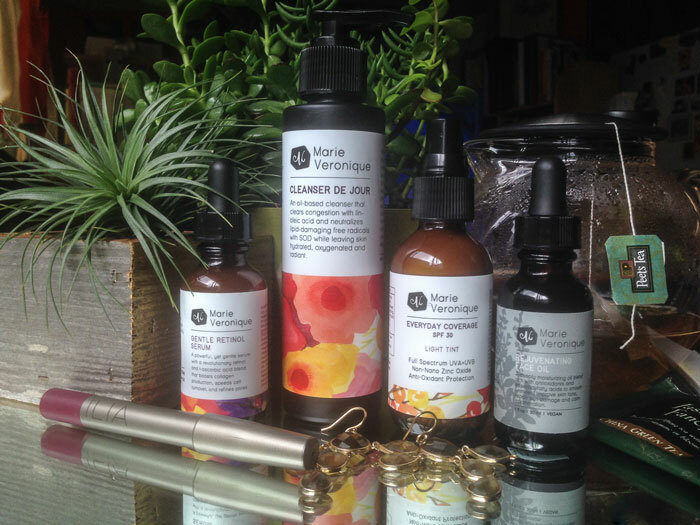 What you won’t find alongside Marie Veronique Advanced’s top-notch, effective ingredients (like vitamin C, encapsulated retinols, antioxidants and more)? BS. Marie keeps the hyperbole to a minimum and instead focuses on the key actives in her products and the explanations for how everything works in harmony. Her blog is a wealth of information, and I seriously devoured every single post when she relaunched her website. Keep the posts coming, MVA team! I’m a diehard fan. Marie is such a shining example of a founder getting into the game (um, more than 10 years ago!) for the right reason: Because she has knowledge to share and an elegant way to deliver it — with skincare that does what it says it will do and looks beautiful to boot. 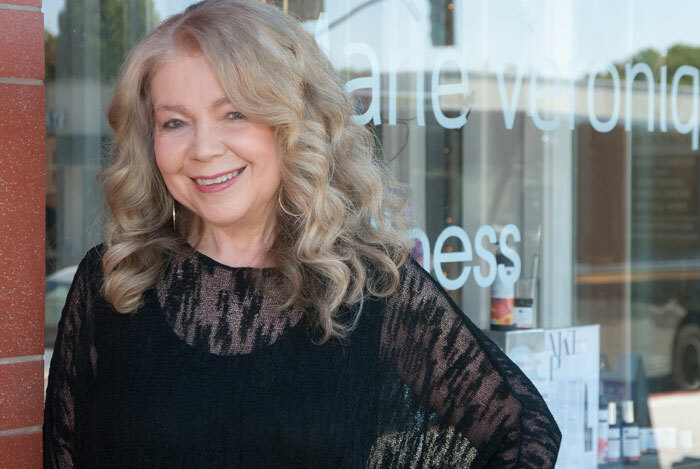 Read on to learn why Marie started Marie Veronique Advanced (MVA) and to see what health and beauty products she loves. As usual, I’ve starred the items I also use and love. If you’re interested in reading more of my thoughts on the line, visit my Marie Veronique archive! So many more reviews to come, but if you’re impatient, I truly adore and recommend Serum de Jour, Gentle Retinol Serum and Eye Recovery Serum. What have you tried from Marie Veronique Advanced? What do you look for in skincare lines and their respective founders? Tell me in the comments section!